Summary: Examines OA status in the field of ethics. Starts by determining a set of researchers, then a set of articles then determining OA status by Google Scholar. Makes it challenging to scale. Good analysis of the different forms of OA being used here and the complexities that creates. Abstract: The current state of open access to journal publications within research areas belonging to the humanities has received relatively little research attention. This study provides a detailed mapping of the bibliometric state of open access to journal publications among ethicists, taking into account not only open access publishing in journals directly, but also where and in what form ethicists make their journal articles available elsewhere on the web. As part of the study 297 ethicists affiliated with top-ranking philosophy departments were identified and their journal publication information for the years 2010–2015 were recorded (1682 unique articles). The journal articles were then queried for through Google Scholar in order to establish open access status (web locations, document versions) of each publication record. Publication records belonging to the 20 most frequently used journal outlets (subset of 597 unique articles) were put under closer inspection with regards to alignment with publisher copyright restrictions as well as measuring unused potential to share articles. The results show that slightly over half of recent journal publications are available to read for free. PhilPapers and academic social networks (Academia.edu and ResearchGate) were found to be key platforms for research dissemination in ethics research. The representation of institutional repositories as providers of access was found to be weak, receiving the second lowest frequency rating among the eight discrete web location categories. Further, the study reveals that ethicists are at the same time prone to copyright infringement and undersharing their scholarly work. Laakso, Mikael, and Andrea Polonioli. 2018. 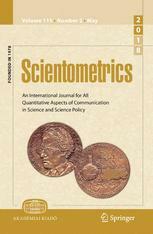 “Open Access in Ethics Research: An Analysis of Open Access Availability and Author Self-Archiving Behaviour in Light of Journal Copyright Restrictions.” Scientometrics, April, 1–27. https://doi.org/10.1007/s11192-018-2751-5.